Check out what Designer Alan Copeland has to say about the Baby Dragons he created for The Sims 3 Dragon Valley! 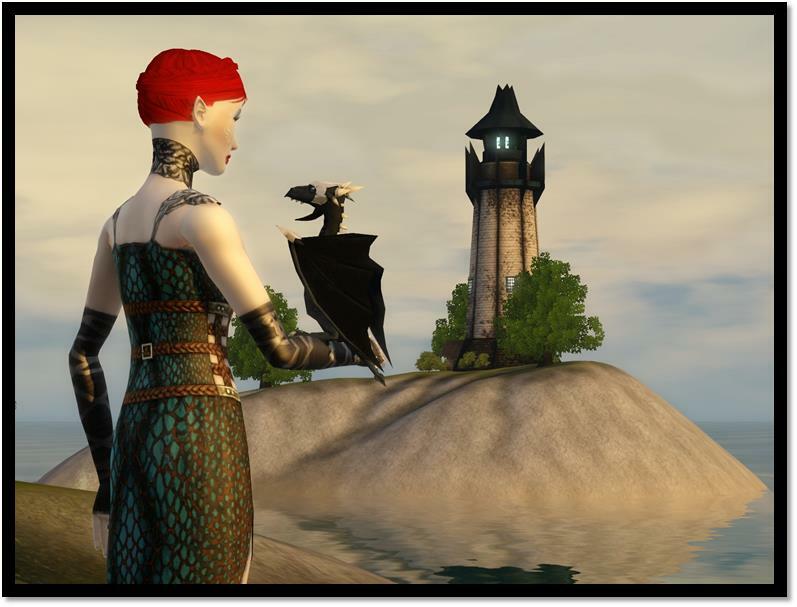 The Armored Black Dragon will be available as a bonus unlock when you own both The Sims 3 Dragon Valley and the Dukes of Bow Renn Faire venue – both available on The Sims 3 Store on May 30, 2013. Some have said that finding an Armored Black Dragon is a bad omen and surely its presence is a sign of evil on the horizon but the truth is that these mysterious critters are beyond the trappings of traditional “good vs. evil”. They are born with an inherent understanding of many of the Reaper’s secrets, a burden that often makes them detached and distant. For reasons the Armored Black Dragons think best to keep to themselves, being around them gives the Mark of the Black Dragon moodlet, benefiting their companions with bonuses of Energy and Hunger. Every Armored Black Dragon knows that the cycles of death are far, far, more logical than the cycles of life and will occasionally discuss those things with Sims to help them become more logical. Armored Black Dragons have conquered fear by twisting it into a powerful tool to use against others. If they find a Sim particularly annoying they can turn their onyx stare into a curse so heinous that some have even transformed into a soulless zombie! Armored Black Dragons have a kinship with the dead so they can summon ghosts that can haunt an area or give your Sim a chance to talk to those that have passed to the other side. But the reason the Black Armored Dragon is arguably the most powerful of all of the dragons is its ability to summon a free pass for the next time the Grim Reaper is around in the form of a Death Flower! Armored Black Dragons are exclusively unlocked for those customers that have both the World and the new “Duke of Bows Renaissance Faire” venue.